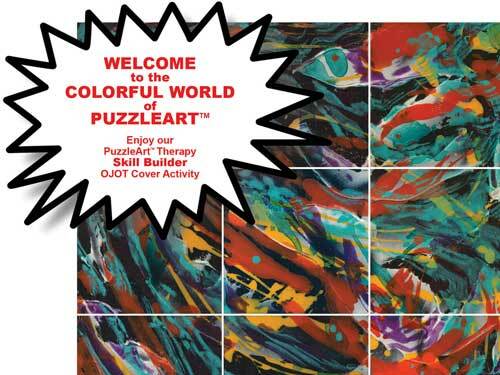 Access your exclusive PuzzleArt Cover Activity - created just for OJOT readers! Give Me My FREE Activity! OUR FUN PuzzleArt™ Therapy System Products can help improve 20 important Perceptual, Sensory, Oculomotor, and Creativity skills! This is a special activity, exclusive to OJOT readers. You are free to use it in just about any way you want, including re-using the activity with all your population. to help people of all ages and abilities! You can easily use it! Enter your name and email address to receive your activity. It's 100% FREE and exclusive to OJOT readers!